Can’t make it to a race? Catch the live feed from each NHRA Pro Mod race on NHRA All Access! TV Coverage is available on FS1 or FS2. For a complete TV Schedule, click here. Pro Mod team owners and drivers created The Real Pro Mod (RPM) association to preserve and promote the future of these amazing spectacles of drag racing. Pro Mods are touted as the fuel altereds of the 21st century. 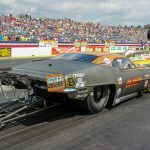 With more than 3,000 horsepower, the suspended door Pro Mod cars travel the quarter mile in under six seconds and at speeds exceeding 250 MPH. The accomplishments and resumes of the founders of this unique organization are impressive in their own right. All members are self-made businessmen that actively participate as drivers, team owners and/or crew chiefs who understand how to make a venture successful. 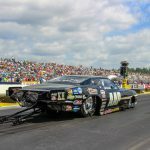 The formation of the Real Pro Mod Association highlights that this is not just a passing fancy but instead, a commitment by the stars of the sport to shepherd the future of this class. Without the support of our RPM members and their membership dues, this organization, and likely the Pro Mod class, would not exist. 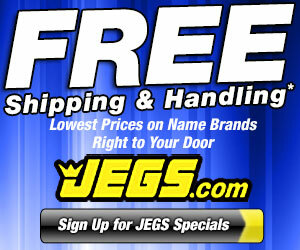 It is thanks to their generous donations that we are able to have a place to race our Pro Mods!